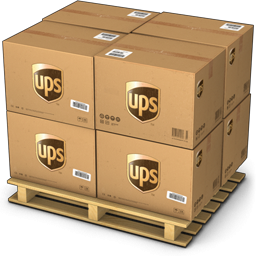 Some favors are guaranteed to make a great first impression. And whether your guests are finding their seating assignments in these exceptional frames or they're filling them with a special photo from your day, there are bound to be smiles! 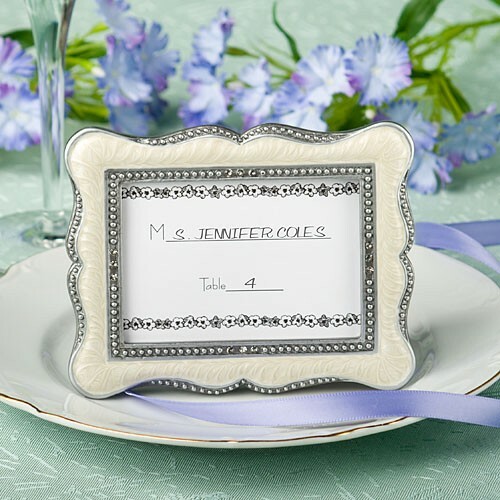 Each pewter finish poly resin frame measures 3.5" x 4.5" and has lovely Victorian flair with inlaid ivory enamel and a curved outer edge with a beaded design and glistening rhinestone accents, framing a 2.5" x 3.5" photo/place card window with glass at its center. The black craft paper back is hinged for photo insertion and includes an easel cut for both vertical and horizontal display. 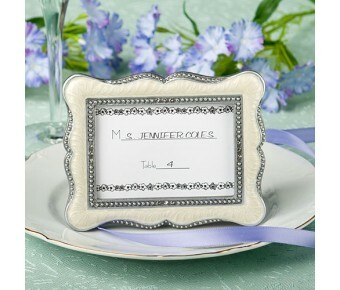 A Fashioncraft exclusive, each Victorian design frame favor comes in a white box with a blank place card included.